Last chance to fight for freedom. Last chance to fight for honest folks aka cockfighters. Last chance to fight for animal farming and sports. 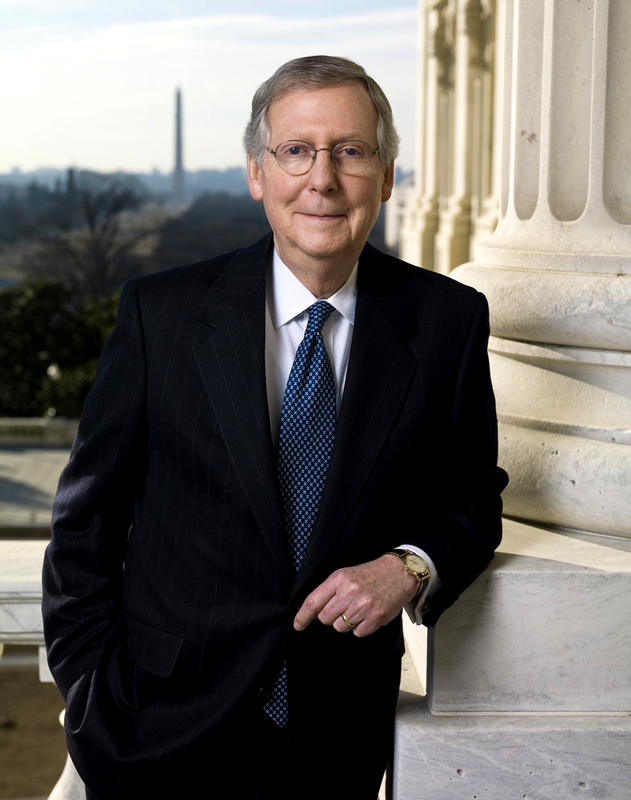 Addison Mitchell “Mitch” McConnell, Jr. (born February 20, 1942) is the senior United States Senator from Kentucky. A member of the Republican Party, he has been the Minority Leader of the Senate since January 3, 2007. First elected to that position in 2006, he is the 15th Senate Republican Leader and the second Kentuckian to lead his party in the Senate. The first, Alben Barkley, led the Democratic Party from 1937 to 1949. He is also the longest serving U.S. Senator in Kentucky history. Currently he is the 7th most-senior Senator, as well as the 4th most senior Republican member. Add cockfighters to the long list of Kentuckians angry with Senate Minority Leader Mitch McConnell. McConnell’s vote in favor of the federal farm bill has left cockfighting enthusiasts furious and threatening political damage to Kentucky’s senior senator in the May 20 Republican primary. “This will destroy Mitch McConnell in Kentucky,” said Craig Davis, president of the United Gamefowl Breeders Association. At issue is an amendment included in the $956 billion farm bill, approved and signed into law this month, that makes it a federal crime to be a spectator at an animal fight. The new law makes attending a cockfight or dogfight a federal misdemeanor, punishable by up to a year in prison and $100,000 fine. It makes bringing a minor to such fights a federal felony, punishable by up to three years in prison and a $250,000 fine. Davis and several hundred cockfighting enthusiasts greeted McConnell, U.S. Sen. Rand Paul and Agriculture Commissioner James Comer in London on Monday as they made a swing through Eastern Kentucky to promote economic development proposals. In an interview Tuesday, Davis said the new law could have any number of unintended consequences that make criminals of law-abiding citizens, boasting that he could move as many as 60,000 votes against McConnell if their concerns were not heard. Paul, who voted against the bill, has escaped the wrath of people who say their “culture and heritage” was misunderstood and wrongly maligned. Davis said a number of his association’s members suggested Monday that they turn to Republican challenger Matt Bevin in the May primary, but Davis said they should wait to see whether McConnell was amenable to hearing them out. Davis’ group also wants the Kentucky legislature to pass a law that would guarantee their right to hold cockfights, much as Kentucky voters amended the state Constitution in 2012 to protect their right to hunt and fish. John Goodwin, director of animal cruelty policy for The Humane Society of the United States, said cockfighting advocates were right to be concerned. “All these cockfighting pits in Kentucky are in danger of being put out of business,” Goodwin said. The penalties included in the new federal law put serious teeth into what is already criminal activity, although Kentucky law enforcement officials have rarely cited individuals for the misdemeanor offense. Goodwin cited a 2008 Drug Enforcement Agency bust of a Cumberland County, Tenn., cockfighting ring linked to a Mexican drug cartel. Cockfighting is a felony offense in a majority of states, but the risk of being caught in Kentucky has been more than offset by gambling profits, Goodwin said. In 2010, for example, The Humane Society released a video showing a Kentucky State Police trooper and another law enforcement officer attending cockfights in Manchester without taking any action. At the time, House Speaker Greg Stumbo, a former state attorney general, said he wasn’t sure cockfighting should be illegal. Ironically, Goodwin said, McConnell probably had nothing to do with the language being inserted into the farm bill. “He just voted for the farm bill,” Goodwin said. McConnell focused his explanation of support for the bill on a provision that allows states, including Kentucky, to begin growing industrial hemp in pilot projects. Bevin said he would have voted against the bill, citing its cost and the nation’s deficit. Fans of cockfighting are unlikely to find a political patron to take up their cause, Goodwin predicted. “What they’ve got to realize is, at the federal level, there’s nobody in Congress who wants to buddy up with people engaged in something that is illegal in all 50 states,” he said. The amendment was pushed by Senate Agriculture Committee chairwoman Debbie Stabenow, D-Mich., who campaigned in Kentucky this week with likely Democratic Senate nominee Alison Lundergan Grimes. Davis said ties between cockfighting and illegal gambling and drugs were overstated, and his members ere willing to let official monitors observe the fights for some measure of legal protection. For many rural Kentuckians, Davis said, breeding gamefowl is crucial to helping shore up incomes decimated by the decline of coal and a dearth of manufacturing jobs. Hens used for breeding can sell for $100 and roosters can sell for $250, but Davis said two hens and a rooster that come from a winning progeny can fetch as much as $1,500. Davis said the grass-roots movement associated with cockfighters was fed up after three decades of watching their freedoms being taken from them. If McConnell won’t listen or help, he said, they would back a candidate who would. Senate Minority Leader Mitch McConnell, already facing a tough primary challenge from Tea Party Republican Matt Bevins, has a new foe: fans of cockfighting. The Lexington Herald-Leader is reporting that cockfighting enthusiasts are madder than a wet hen over McConnell’s vote on the recently passed $956 billion farm bill which contained an amendment making it a federal crime to be a spectator at an animal fight. The new law now makes attending a cockfight or dogfight a federal misdemeanor, punishable by up to a year in prison and $100,000 fine. Additionally, it makes bringing a minor to a fight a federal felony, punishable by up to three years in prison and a $250,000 fine. Davis added that he could round up as many as 60,000 votes against McConnell if their concerns were not heard noting that they could turn to Republican challenger Bevin in the May primary, but that members should first wait to address the issue with McConnell. Davis’ group also wants the Kentucky legislature to pass a law that would guarantee their right to hold cockfights, similar to a voter approved amendment to the state Constitution guaranteeing the right to hunt and fish. McConnell is currently running neck and neck with Democratic challenger Alison Lundergan Grimes in the polls. Next Post “I am a gamecock farmer (cockfighter)” – B.L. Cozad Jr.